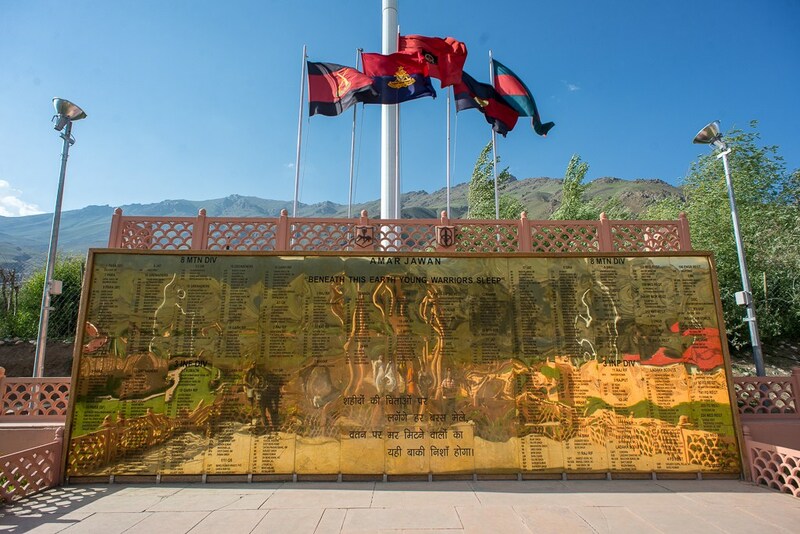 Located in the foothills of the Tololing Hill and between the Drass and Kargil region of Jammu & Kashmir lies the famous Kargil War Memorial. 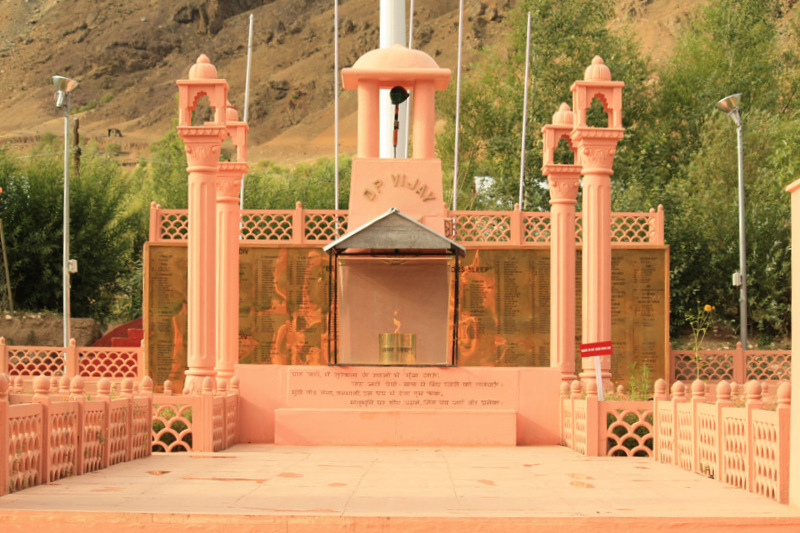 Also known as the Drass war memorial it was erected by the Indian Army in the memory of the martyrs, of the Kargil war of 1999. 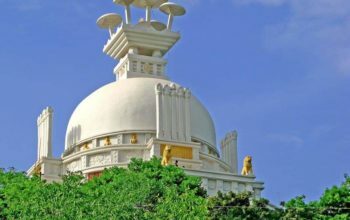 Tololing Hill under which this memorial has been built is at a throwaway distance of 5 km from another famous hill named Tiger Hill. 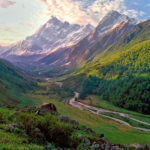 Both these twin hills namely Tololing hills and Tiger hills overlooks the strategically vital Srinagar-Kargil highway that connects the Srinagar region to the Leh region. It is often said that those who controls the Srinagar Leh highway controls the whole Kashmir region. The Kashmir region is a bone of contention for both the neighboring countries. And after Pakistan’s disgraceful defeat in the previous 1971 war, Pakistan once again lead an ambitious plan to gobble more lands in to it. It pushed thousands of it’s regular and irregular army across the international border and played a wrong bet of trying to capture the high mountains, overlooking the strategic highway. In a befitting way the Indian Army replied in, with a full fist blow to Paksitan’s dream. A fierce battle was fought on those high inhospitable mountains between the two armies. Many soldiers perished due to the inhospitable weather and many more due to enemy’s bullet but the brave soldiers of Indian Army ultimately triumphed by paying an ultimate sacrifice, lying their lives in the line of duty. This memorial is built in loving memory of those brave soldiers who laid down their lives. The sanctum- sanctorum of this War Memorial has an Eternal Flame called as Amar Jyoti Jawan which is kept lit 24x7x365 and is dedicated to the unknown fallen soldiers of the war. 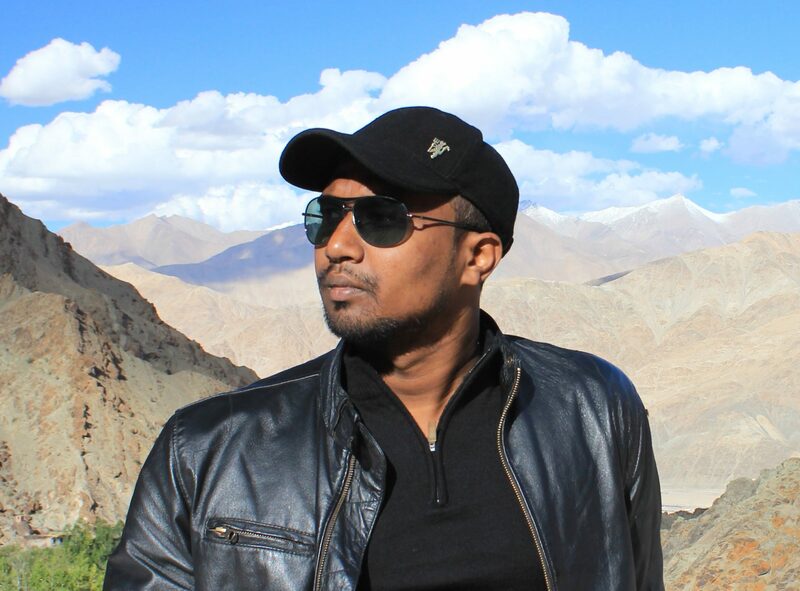 Behind the Amar Jawan is a brass wall of Wall of Heroes. The wall has names of the soldiers who made the supreme sacrifice during the Kargil Conflict. 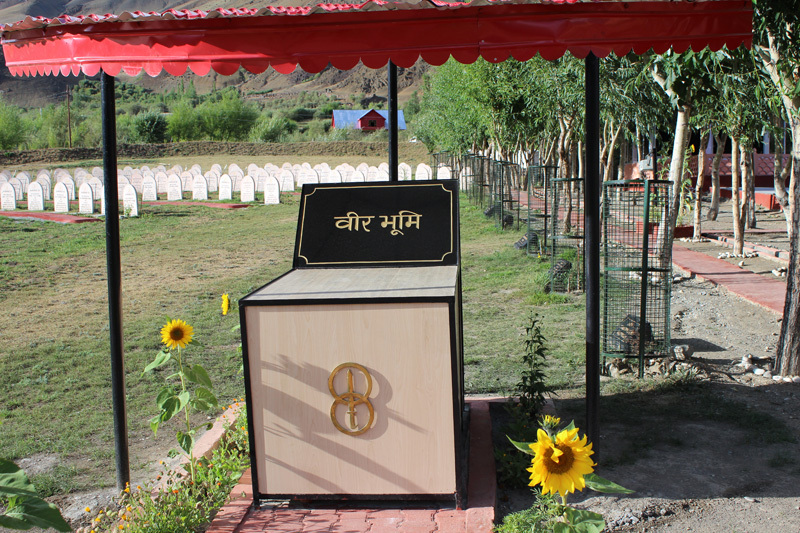 Visitors can pay homage to the soldiers by offering flower petals. 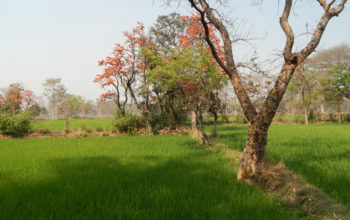 The memorial compound also houses the ‘Hut of remembrance’ ,called as the Manoj Pandey Hall. It has boards with the names of all the soldiers who made the supreme sacrifice during Operation Vijay. 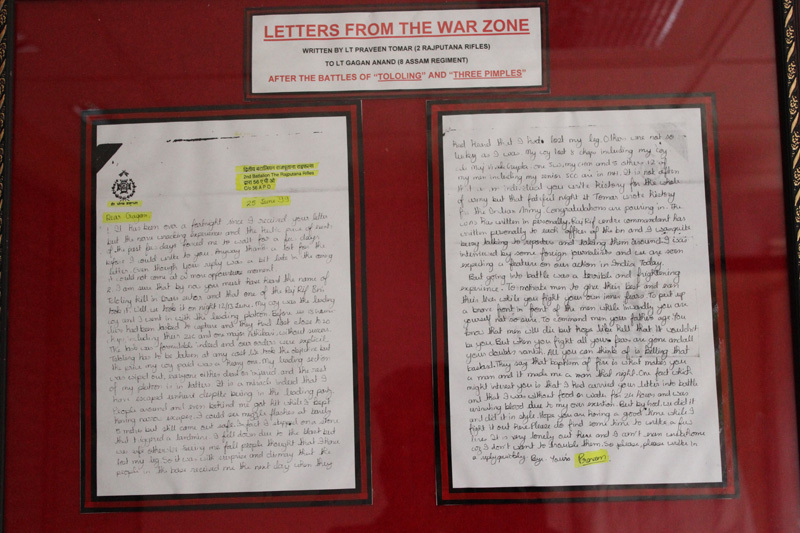 Few on display are letters written from the war zone and messages of various individuals and organisations for the troops who were involved during the Operations. Some of the other high point in the Hut of Remembrance is the Photos and History Gallery and the Captured weapon and equipment Gallery. 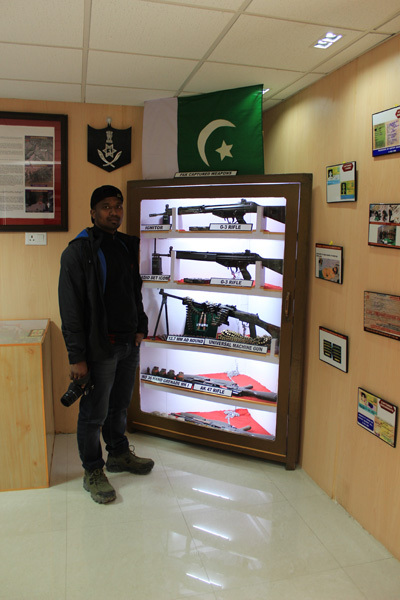 These galleries contains models and photographs of the major battles fought during the Kargil War and the photographs of soldiers who were awarded with Gallantry Awards .The captured weapons, documents and military equipment of the Pakistani Army are also on display in this gallery. There is a souvenir shop next to the entrance gate of the war memorial . 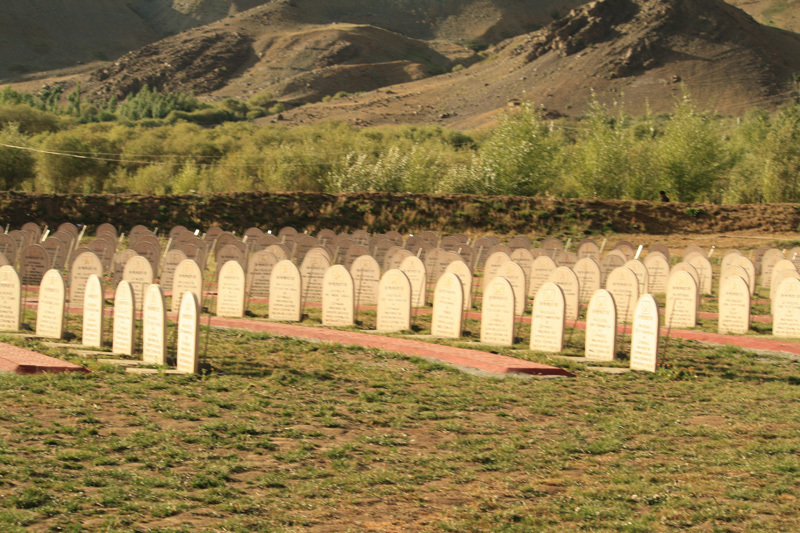 To carry back memories of your visit to the war memorial you can buy from the souvenir shop items like Fridge Magnets, Key chains, Custom Printed, T-shirts, Mugs and books on the Kargil Conflict. One can also avail refreshments at the cafe,next to the Souvenir shop on nominal charges. 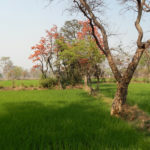 It is a very popular food joint among the bikers who take a break and intends to soak up the sun while enjoying a hot cup of tea with samosas. 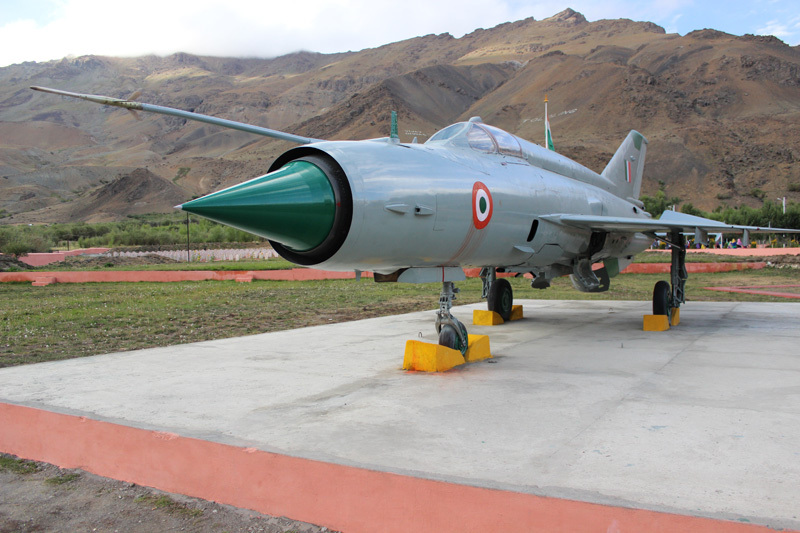 How To Reach Kargil War Memorial is located on National Highway – 1 which connects Leh to Srinagar via Kargil and Dras. It is accessible by bus and taxi from Srinagar (155 km) and Leh (281 km) airports. The nearest railway station is at Jammu (395 km). Where to Stay There are three hotels in Dras with very basic amenities. Decent Hotels are presently only located at Kargil, which is about 60 km from Dras and involves an hour long drive. Best Time to Visit The War Memorial is open throughout the year. The best time to visit is sometime between June and October. However, visitors should avoid the period between 23 to 26 July, as the Memorial remains closed for general public due to Kargil Vijay Diwas events. Timings The memorial is open from 7 AM to 8 PM in the evening. Entry Fees The entry is free for Indian Citizens. However visitors are required to show any proof of identity and register their details at the entrance gate before entering.